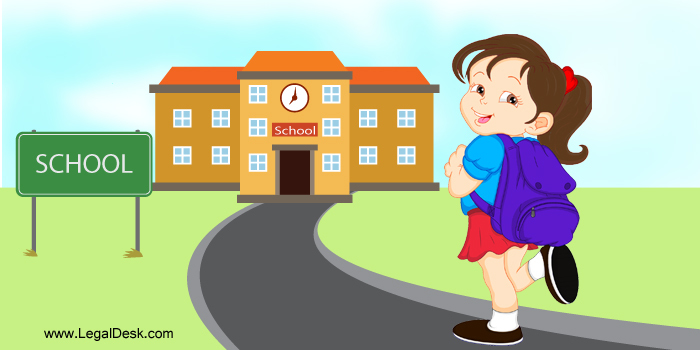 Often required during school and nursery admissions, the First Child Affidavit is a document that is required to be submitted by parents to a school/nursery in which they seek admission for their ward. This is a fairly new process and that is why most young parents are unaware about how to get the said affidavit drafted. Thankfully, we’re here to help you with that. In the last few years, educational institutions, especially private ones, have started requesting for this particular affidavit for various reasons. One of the reasons is that the ward gains special points and a priority being the first born. Kindly keep in mind that the First Child Affidavit is required for the FIRST BORN child’s admission and related events alone. It does not apply for second or third born kids. How To Make First Child Affidavit? The procedure, like with most affidavits, is fairly straightforward. The document requires one or both parents to act as Deponent(s) and swear that the ward in question is indeed their first born child and that they are drafting it for the purpose of the ward’s admission in a particular educational institution. You can approach any notary in your locality to get this done. Alternately, you can use our online tool to create one and have it delivered to your doorstep. We guarantee that our legal documents are lawyer-verified and free of error. Moreover, we deliver the document to your doorstep. Sometimes customizations may have to be made if the institution so requests. 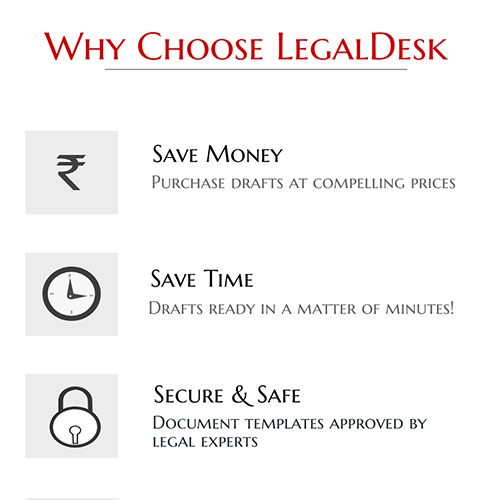 Should that be the case, LegalDesk will be more than happy to help with making a customized affidavit. How To Make It Legally Valid And Enforceable? To make a legally valid First Born Child Affidavit, you need to prepare the draft with all the details mentioned in the sections above. Once your draft is reviewed and ready, print it on Stamp paper of State recommended value. The Deponent must then approach a Notary or any authority with the power to witness an oath and swear the contents of the affidavit before him. Once the Notary attests the document, it can be considered legally valid and enforceable. The last few steps could get tedious as getting your affidavit printed on Stamp paper and getting a Notary for attestation is time consuming to say the least. We strongly recommend that you use our service to get everything done from the comforts of your home. 1. Is the affidavit for first born child required in every educational institution? Typically no. As of now, only schools in Delhi-NCR request this affidavit for the purpose of admission. The trend is yet to catch on in other parts of India. Also, most Govt./ Govt. aided schools do not require this affidavit. It is usually requested in the case of admission to Private schools. 2. I am a Delhi-based parent of two. I am currently seeking admission for my elder son in a reputed private school. Would I still need the first born child affidavit despite having two kids? Yes. Irrespective of how many children you have, if you are seeking admission for your first born, the affidavit will have to be presented to private schools/nurseries for admission. In case you are unaware of the First Born Child Affidavit format, we recommend that you create one with us and have it delivered to your doorstep. To create a legally valid, solid First Child Affidavit, LegalDesk is your go-to option. We have pre-drafted, lawyer-verified, ready to use formats which can be customized in a matter of minutes. All you need to do is enter your details and opt to have the document printed on Stamp Paper and delivered to your doorstep! We also have a host of other Legal and Govt. documents, in fact, we have the means to help you out with all your legal document needs. Everything comes in a pre-drafted format so all you need to do is input your details. And what’s more? The prices are compelling! Go ahead, draft your document now!